The contemporary sport manager must be an entrepreneur who uses marketing and financing skills to yield optimum social and economic benefits. Financing Sport Second Edition provides the most in-depth exploration of traditional and innovative revenue acquisition methods for sport organisations. The first edition of this groundbreaking text published in 1995 has been adopted in universities throughout the world and has been translated into Chinese and Japanese. Rather than simply updating sections of various chapters -- common to most new editions -- the authors approached each chapter as though writing the book for the first time. The business of sport is fast paced and ever changing. The content of the Second Edition captures the many new and creative ideas managers in sport organisations have implemented in response to their dynamic work environment. The second edition also maintains its original focus on conventional income sources available to sport organisations including ticket sales premium seating options concessions and the sale and execution of corporate sponsorships. The book maintains a strong practical orientation. Numerous vignettes or mini-cases drawn from actual practice are interspersed throughout the book. 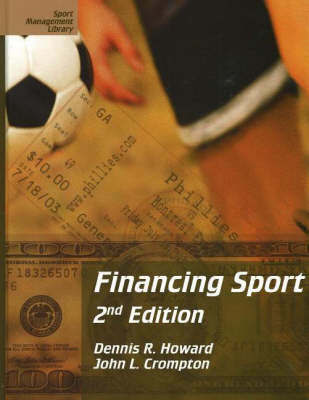 Students enjoy knowing how capital financing and revenue acquisition practices are actually being used by sport organisations; therefore the authors include numerous real-world examples to illustrate many of the best practices employed by sport managers. This 'nuts and bolts' treatment allows readers to confidently transfer the methods to effective practice.